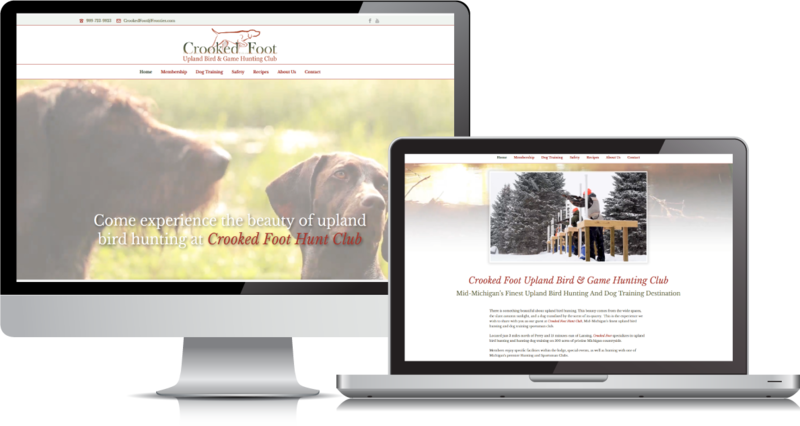 Crooked Foot Hunt Club, Mid-Michigan’s finest upland bird hunting and dog training sportsman club. 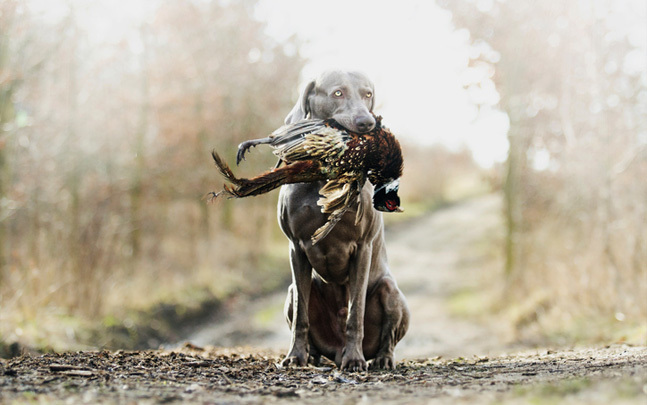 Located just 15 minutes east of Lansing, Crooked Foot specializes in upland bird hunting and hunting dog training on 300 acres of pristine Michigan countryside. 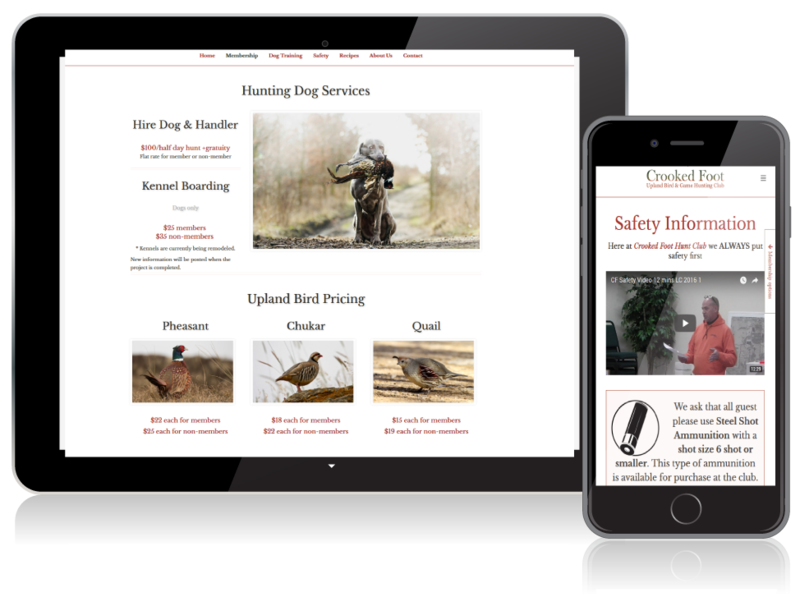 ​Members enjoy specific facilities within the lodge, special events, as well as hunting with one of Michigan’s premier Hunting and Sportsman Clubs. 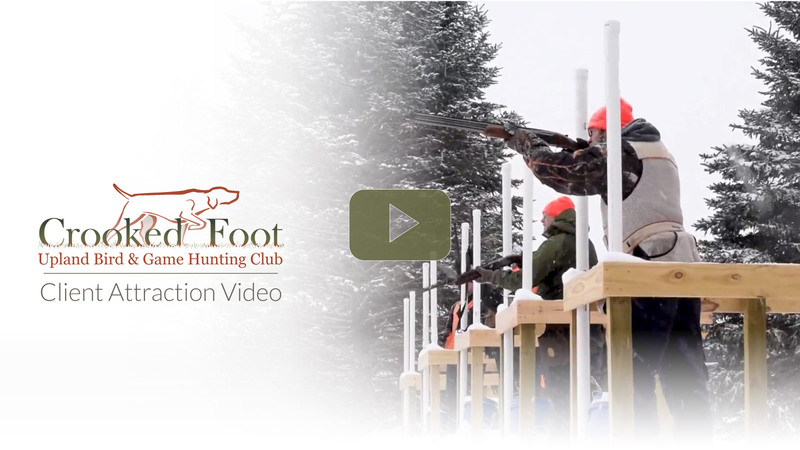 vibrant client attraction video that really ties the whole project together in a wonderful way that welcomes sportsman, hunters, and out-door enthusiasts alike. The process of discovering Brand Truth is one of interviewing guests, staff, and key stakeholders at the Hunt Club. Since no one person knows the entire truth; it’s important to speak to many different many people from each of these groups, asking several different types of questions and uncover what Crooked Foot meant to each of them. These findings and data are correlated and blended into a singular message that can be shaped into different and outreach campaigns that grab and hold the attention of each unique group. 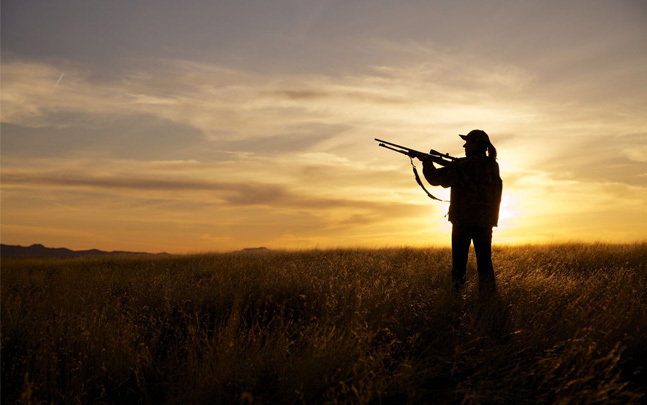 Our branding focused on telling the story of a friendly an inclusive community of hunters and outdoor enthusiasts enjoying time in nature together. 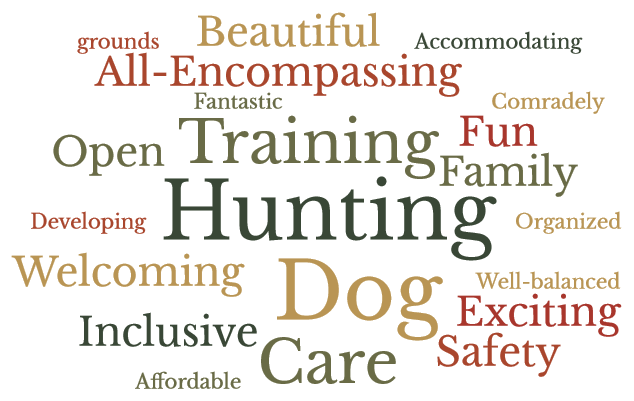 Our primary message emphasized the personal connection that members already feel and that guests can discover when they come to Crooked Foot Hunt Club and continue to enjoy as members.